This medium weight post (1.2 pounds per linear foot) provides strength and durability for most parking lot environments. However, for snow-belt environments where plows may pile up snowbanks in parking lots, we recommend our heavy gauge posts. 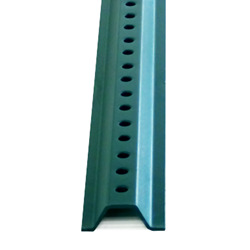 Green steel U-Channel posts come with predrilled holes to match the pre-drilled holes in our signs, making for easy sign installation. 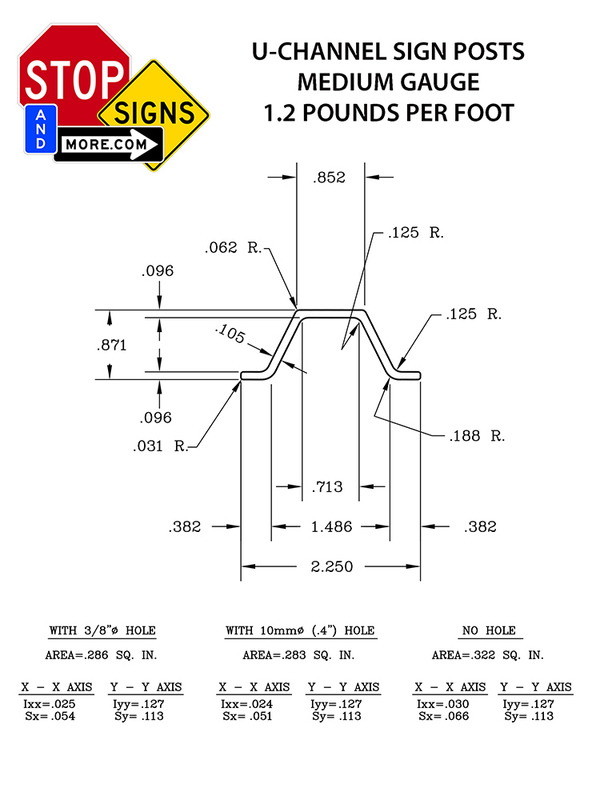 Signpost has a tapered end for easier ground installation.